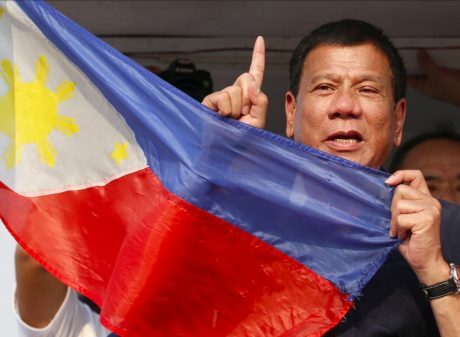 On the 14th day of March, the Philippines, under the leadership of President Rodrigo Duterte has finally freed itself from the last restraints of the Western world, the International Criminal Court. The Philippines has finally reached true independence, nothing is holding the country back but itself. A kudos to the president for freeing his people from wrath of the colonizers façade that they call the ICC. And with anything the President does, comes the criticism of the Liberal Party (LP) or yellowtards for short. If the LP had its way with the country, we’d still be living in the shadow of our colonized path. For these yellowtards are masochists that enjoy the chains and whips of the western world, which they consider to be “decent” and such. The Filipino definition of democracy isn’t the most accurate, for concepts of “freedom” and “right” were vague from the very beginning. This may have caused a confusion on the side of the yellowtards for they see the democratically elected President who always delivers his promises and is loved by his people, is apparently despised by the LP, despite going through an honorably democratic process. And to add up to all this aversion, the LP seems to be believing in the deeply-ingrained notion that success and the promotion of your current social class comes with the norms of the West. Which is in fact saddening considering the effort of our national hero Jose Rizal put into his books, which depicted this kind of thinking more than 200 years ago. Even now these yellowtard “thought leaders” are looking for ways to have the Philippines stay with the ICC, to overrule the decision of the President. Perhaps they truly want to be the dogs of the White Men after all or maybe the weight of four centuries of colonialism is hard to get over with, we will never know. But despite all this foolish opposition, Duterte has paved a path that embraces solidarity as a nation. The Philippines has finally flown out of its bird nest and is ready to reach new horizons with the freedom that we have. This country will never be held down anymore by any kind of restraint, most especially those from the invalidated west.